Take your tabletop gaming to a whole new level in virtual reality with the HTC Vive! Hotseat mode allowing you to play locally on the same computer. 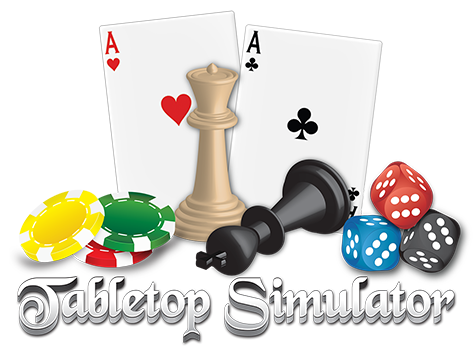 Please be sure to check out our Knowledge Base to learn how to use Tabletop Simulator! Steam, Humble Store, Greenman Gaming, Bundle Stars Store, Desura, Amazon and Indie Gala Store. You can also use one of the widgets below to purchase the game directly either from Humble or Steam. When buying a 4-pack, please remember that if you already own the game, you will only receive 3 copies (Humble). You won’t be able to purchase a 4-pack at all through Steam because you already have a copy. What you need to do is purchase a 4-pack as a gift to someone else so they can distribute it. This applies to both Steam and Humble.